Our flagship site in Leeds City Centre restaurant, on South Parade, is open 12pm to 11pm daily and is the perfect place to enjoy authentic Thai food in the heart of Leeds; be it for business or pleasure. Now featuring a fabulous lower dining floor and VIP room (available for hire) it’s the best place to enjoy all the usual Sukhothai quality and excellence; including our acclaimed 200+ dish à la carte menu and Khao Gang/Lunch menu. 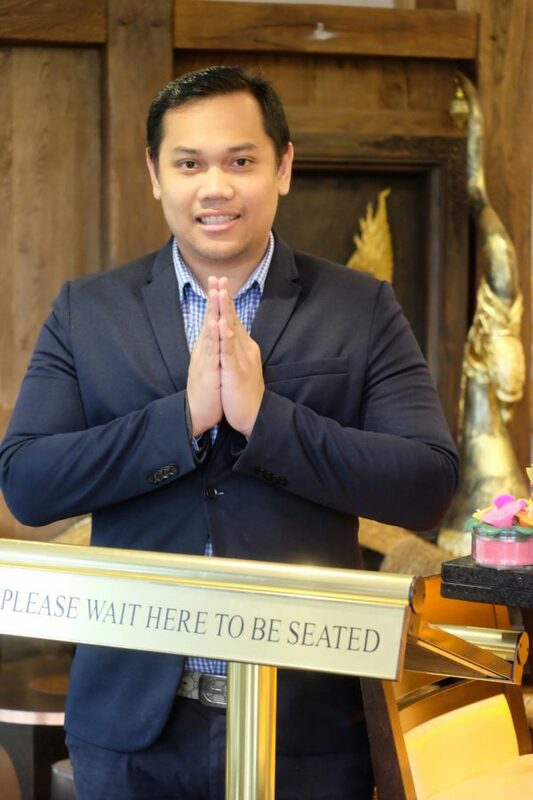 The always sharply dressed South Parade manager, Manny, and his team are always happy to welcome customers and friends, old and new, for some of the finest, authentic Thai dining in Leeds city centre. In 2017, Manny has become a much-loved personality on the Leeds food landscape and all the staff at South Parade are always ready to give you guidance and advice on any of our menus.